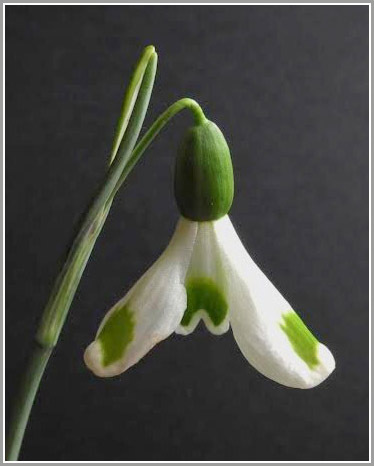 South Hayes is one of the most distinct snowdrops in terms of both shape and markings. It was found in 1992 in Primrose Warburg's Oxford garden where it arose probably as a seedling of G.plicatus Trym, and is named after its place of origin. The fairly flat outer segments curl outwards towards the apex in the classic pagoda - roof manner. Also a green triangular mark in the middle of the apex stretches as a narrow oval to the base. 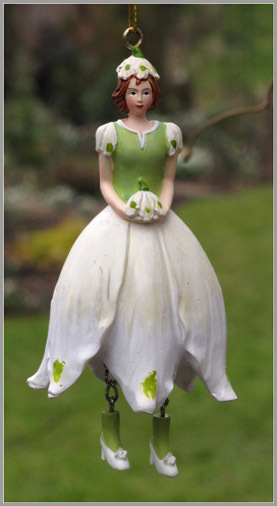 I acquired this snowdrop from Annie Fallinger on a trip to Holland in 2013. I planted it under some birch trees where the soil is light and free draining. It rewarded me last year by flowering later in the season and was my pride and joy. Another favourite with bold green markings on the outer segments is Trymming. This is also a seedling of Trym and self sown from the Avon Bulb Nursery. 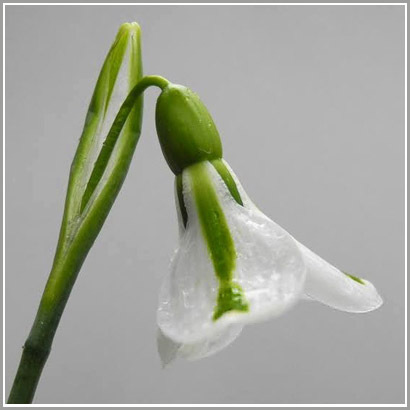 These snowdrops prefer cool moist conditions in the spring and a dry summer dormancy in the shade under deciduous trees. I checked today (December 27th) and its tip is just beginning to peep through.